Harbor Homes, Inc., recently celebrated the start of construction on a new new veterans housing project in Plymouth, NH. 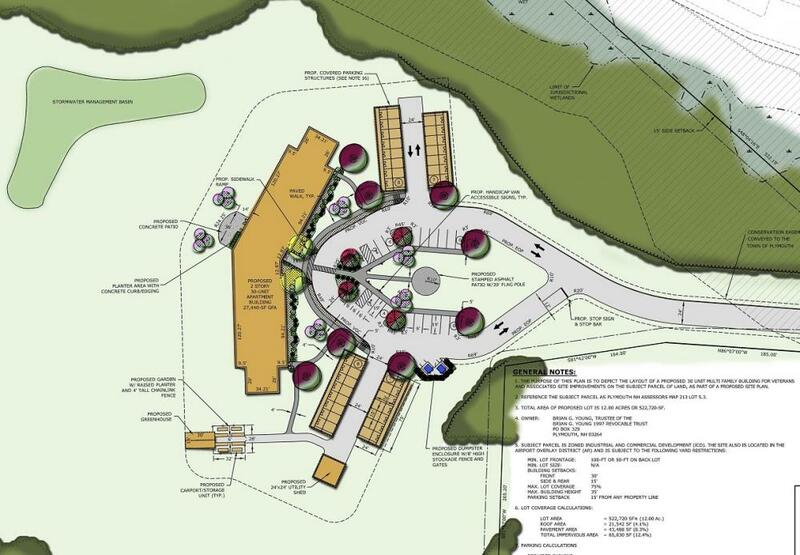 Boulder Point Veterans Housing will be the first permanent residences for homeless veterans in northern New Hampshire. The project is a Permanent Supportive Housing development of 25 one-bedroom apartments for homeless veterans, and five two-bedroom apartments for low-income families, and is located on Boulder Point Drive, close to public transportation, employment opportunities, and shopping. When completed, the 29,000-square-foot apartment building will not only offer affordable, permanent supportive housing for in-need veterans, but staff from Harbor Homes and White River Junction VA Medical Center will also provide essential supportive services and case management on-site. 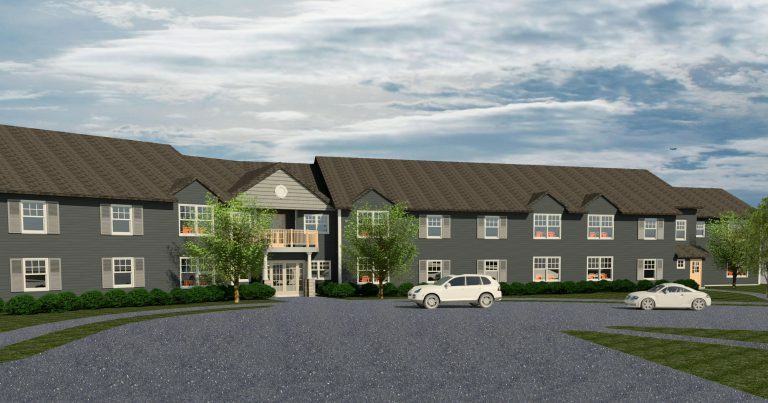 The project, which is slated to open in late spring 2019, is the first permanent housing complex in northern New Hampshire and the fourth large-scale veteran housing project developed by Harbor Homes program in the state. A true community-supported endeavor, this project faced many hurdles in the nearly seven years since it was initially envisioned by a small group of local area residents who were concerned at the lack of resources available for homeless veterans in the Plymouth region. The local group eventually connected with Harbor Homes, who are out of Nashua, and the project finally came together. Northpoint has worked on the design and permitting of this project since early 2015 and we are excited to finally see it under construction. We we look forward to providing construction monitoring and administration services adn to seeing the vision of the local supporter finally realized.